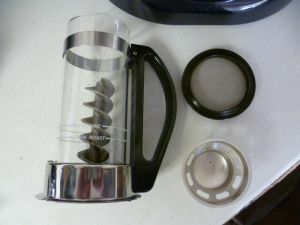 We are sorry to say that the Nesco Professional 1010 Coffee Roaster is currently out of production. Nesco will honor the warranty and possibly bring back a revised unit down the road but Nesco is not building or selling any more of these units for now. Check out the Fresh Roast SR 500 or FreshRoast SR 340 for a good alternative for home coffee roasting. The Nesco Pro is a rugged Wisconsin made, smokeless roaster, it is an easy to use and fun choice for home coffee roasting! The Nesco has great visibility and is fairly quiet, the auger ensures an even roast and is fun to watch. Made right here in Wisconsin by our friends at the Nesco factory (Two Rivers). The Nesco 1010 will roast as light or dark as you want while remaining smoke free. Produces great tasting coffee and a very even roast. The latest version has a higher roasting temperature, which cuts down on roast times and produces a brighter better tasting cup. Even easier to achieve a darker roast! This is the perfect gift for the coffee lover on your list! Fan Settings: None, uses spinning auger. Venting: Smokeless – Still recommend using in a well ventilated area but does a great job keeping it almost 100% smoke free. Still has the smell. Check out the home coffee roasting section for more tips and tricks! Start by filling the roaster to the upper fill line. Make sure the back seal is connected to the top and not the tower, and that the top is well seated. Set the timer for 20 minutes the first time. Add more time and /or reduce the amount of coffee to the lower fill line if necessary for a darker roast. Keep the screen in the top clean. This roaster has a smoke reduction system and is definitely the choice for those who don’t have adequate venting. Yields enough for 15-20 cups per batch. 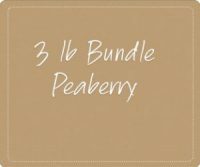 Excellent for medium roasts, but roasts dark too. 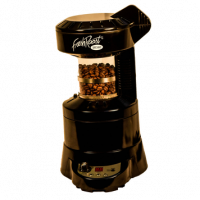 The Nesco Pro home coffee roaster delivers a full 4-5 oz (by weight) roast in about 20-24 minutes. Its smoke-free design allows you to roast, with limited venting. 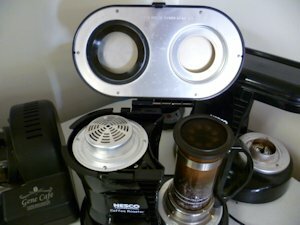 Our great video on how to use your new Nesco Professional 1010 Home Coffee Roaster! 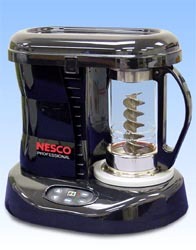 Nesco is the manufacture/distributor of the Nesco CB-1010PRP home coffee roaster and they provide a 1 year warranty. 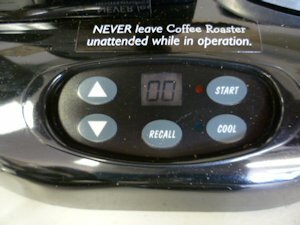 Call them directly 1-800-288-4545 , if you are having difficulty with the roaster. Also, be sure and let us know, we will help!